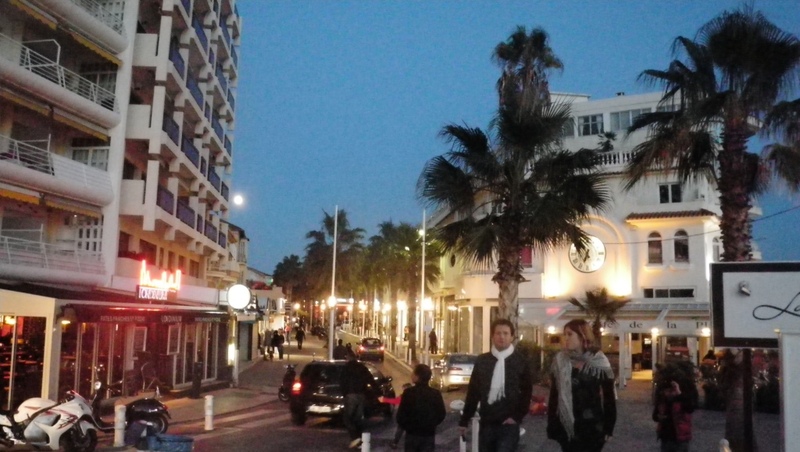 Juan Les Pins is a really beautiful little seaside town at the southeastern France, on the Côte d’Azur (between Nice and Cannes). During the summer, this town is pack with tourist. On the winter however, it’s a different story. 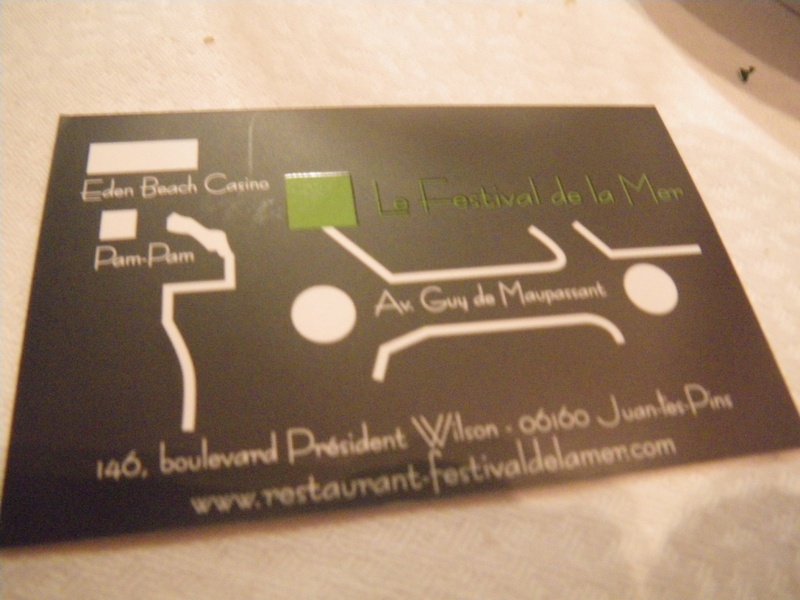 Most of the shops were close and this makes it hard to locate good restaurant at night. 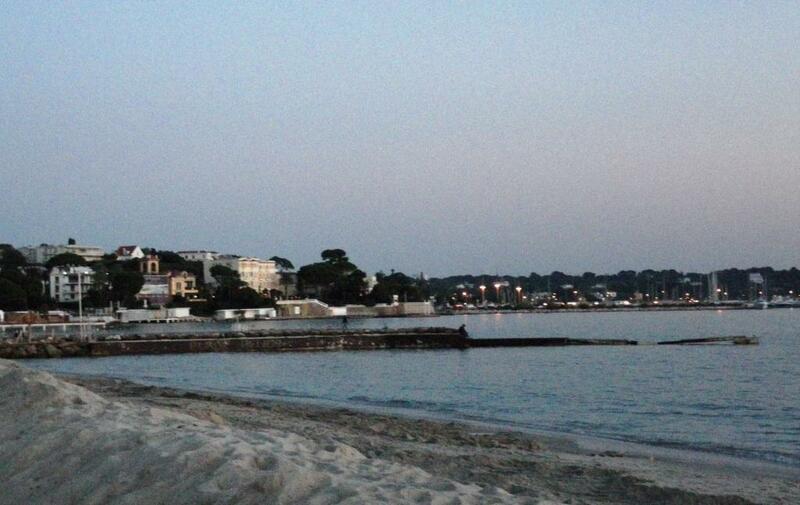 But, I love the peaceful and quiet pace during winter in Juan-Les-Pins. It really lovely to take a nice long stroll along the beach after dinner while enjoying the cold air. Hub likes it because he claims it’s the only exercise I do. hahaha..
Ta – Da !!! 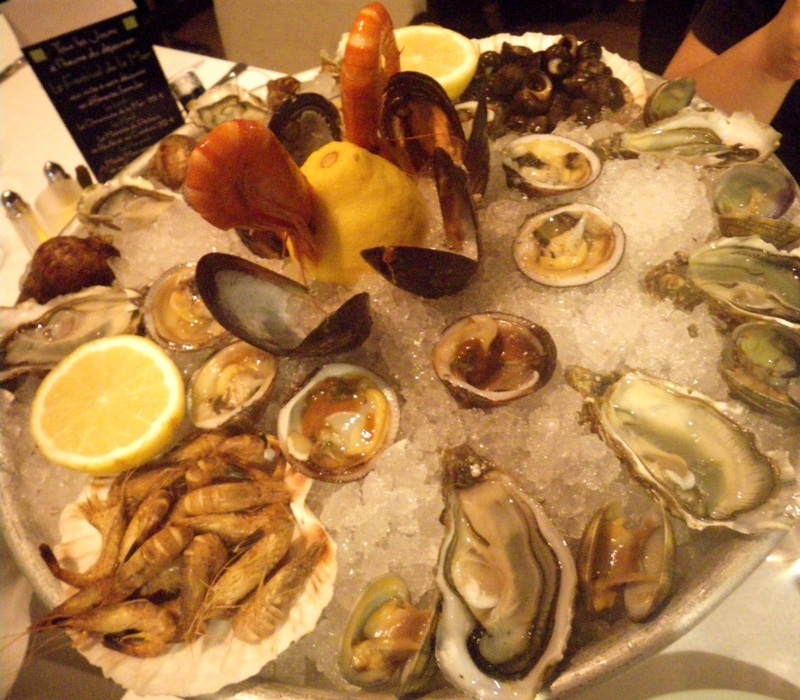 Look at the huge seafood platter for 2 !!! 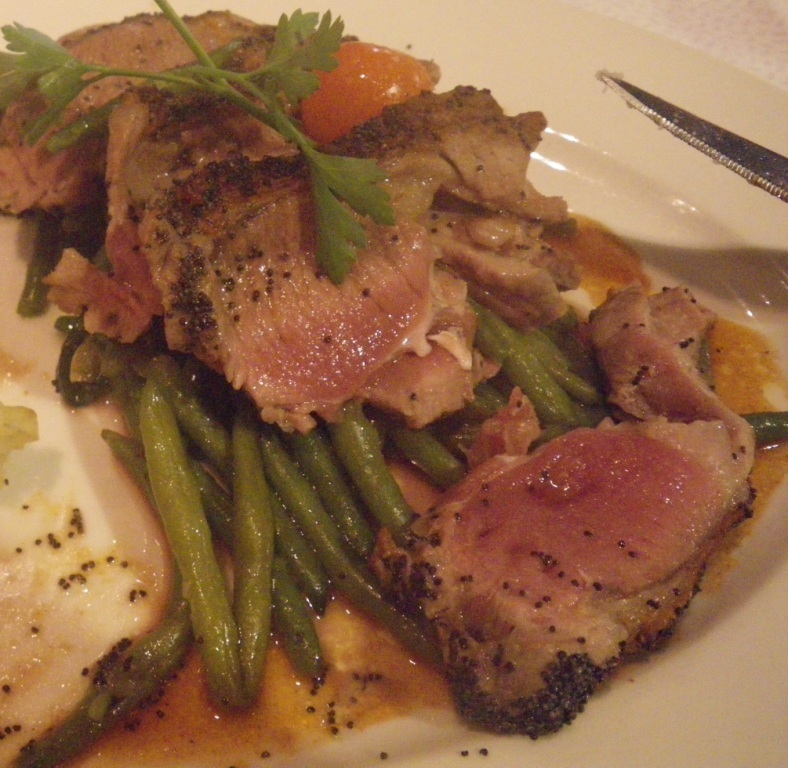 yum yum yum… it’s so fresh and you can practically taste the sea. 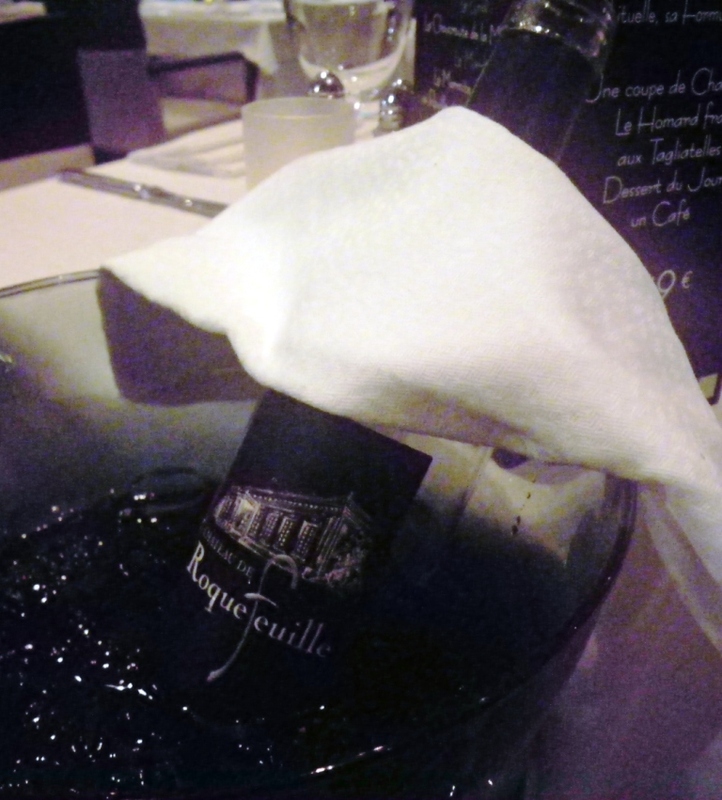 We ordered a Rosé (Chateau de Roquefeuille) to go with our meal… love it. very nice after taste and went really well with the seafood. 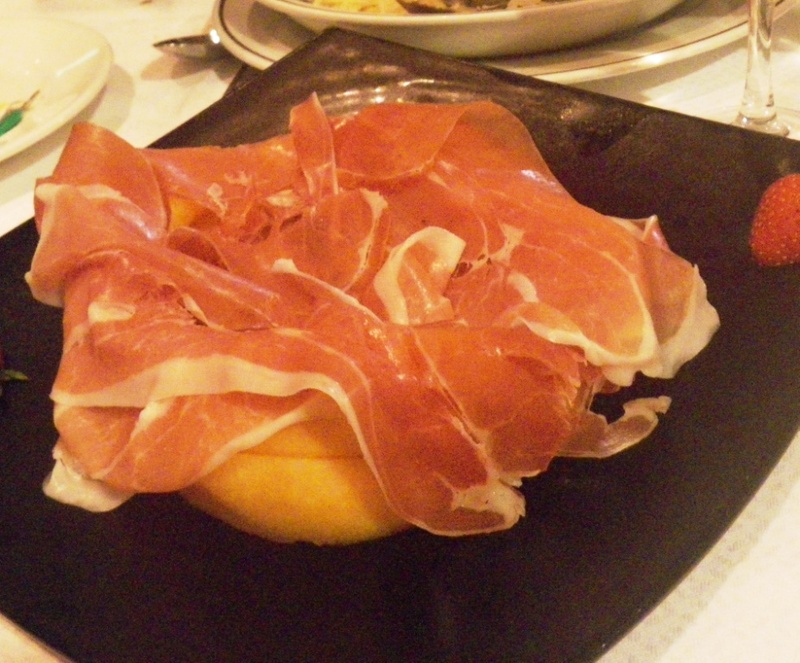 Hub ordered the parma ham savings with rock melon. It was really good. 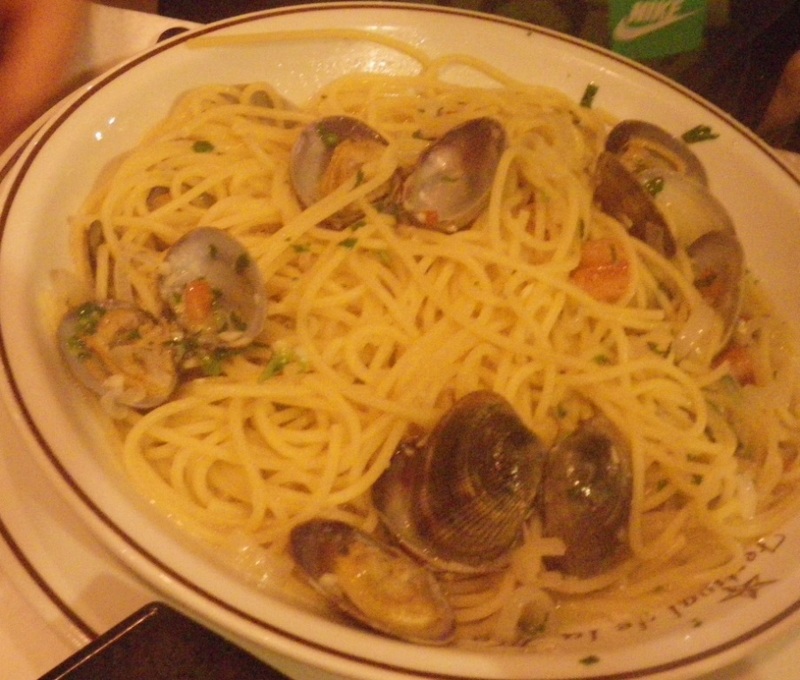 And also ordered Spaghetti alla vongole and Lamb with french bean. By then, we were so stuff we couldn’t possibly try the desserts. Sorry for the poor quality in pictures as I only use my phone camera.